Alex Cross’s whole world is crashing down around him. He has been hunted, stalked like prey, his predator priming himself for the kill. Cross has devoted his life to protecting others. Now he’s unable to protect even those closest to him. As a police detective, he has made many enemies, but never like this. Everything he loves is being taken from him. Soon he will have nothing and no one left. These two novels are linked, which is I think the first time Patterson has chosen to make consecutive novels a single story (not including the cross-book storyline featuring the Mastermind from the earlier books, although this is a similar idea, if shorter). 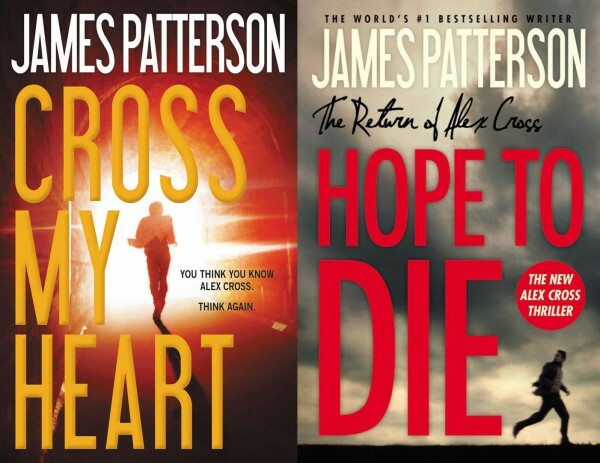 Cross My Heart ended on quite the cliffhanger, with Alex Cross distraught and lost, so I was very eager to get my hands on Hope to Die. The 22nd and 23rd installments in the series, it’s a little tricky to figure out anything new to write about the series. Patterson still has a knack for writing fast-paced, engaging thrillers that have readers gripped from the first page. He still sometimes veers a little too far into the schmaltzy. His villains remain as deliciously evil and colourful as always, complete with hapless henchmen. In Cross My Heart, Cross is investigating a string of murders, but also being stalked and provoked by an elusive other psychopath fixated with him and determined to torment him by getting to his family, which forms the plot for Hope to Die. Given Patterson’s usual style, which always seems to include over-emoting characters, Cross is surprisingly unemotional following the events of the first couple of chapters in the second novel. They unfold quickly, somewhat conveying Cross’s slight disassociate state. The introduction of Ava into the story added a nice new twist on the family dynamic, and her street-learned skills prove invaluable in Hope to Die. Other new characters are welcome additions, too, creating some variety in perspectives. Both of the novels were quick reads, and I zapped through them. It’s not difficult to see why Patterson is so successful. The novels weren’t perfect — in particular, with Hope to Die, I couldn’t help but think the tornado and psychic could have been dispensed with. Minor quibble, though, really. 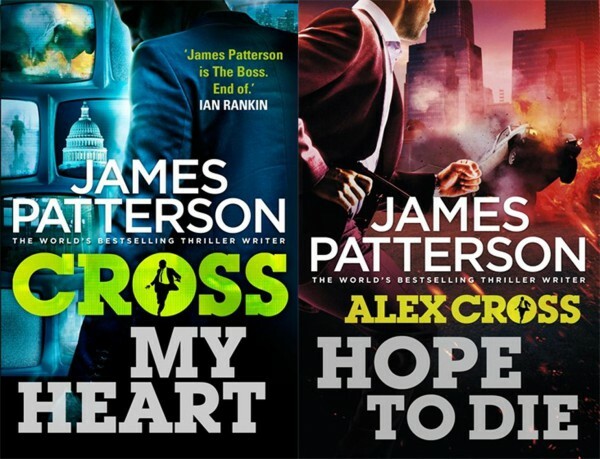 If you’ve been reading and enjoying the Alex Cross series, then Cross My Heart and Hope to Die should appeal as they very much offer more of the same quality and crime thriller suspense. Solid continuations of the series, I look forward to reading the 23rd. Published in the UK by Arrow, and in the US by Grand Central Publishing.